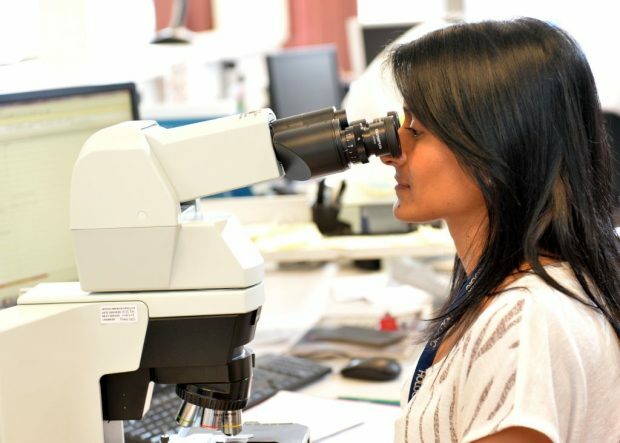 In 2013, 6 labs in England began looking for HPV first to see if this new test could be used in the cervical screening programme. 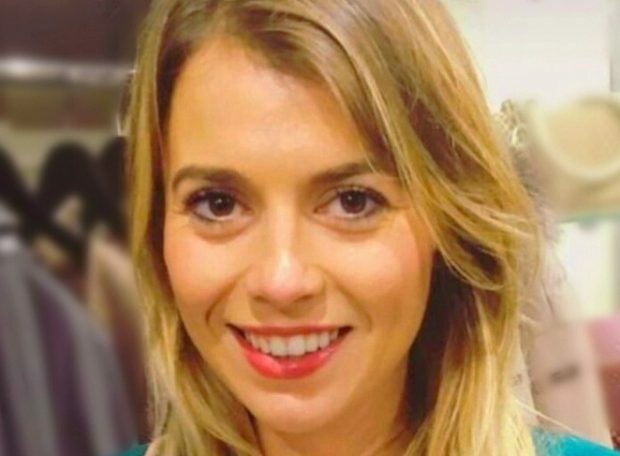 The results from this pilot have now been published in the British Medical Journal (BMJ). 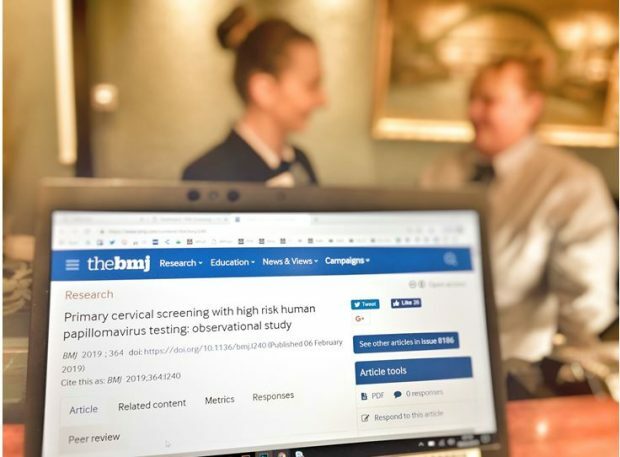 We have launched new training resources to meet requirements set out in guidance for cervical screening providers on implementing high-risk (hr) HPV testing. 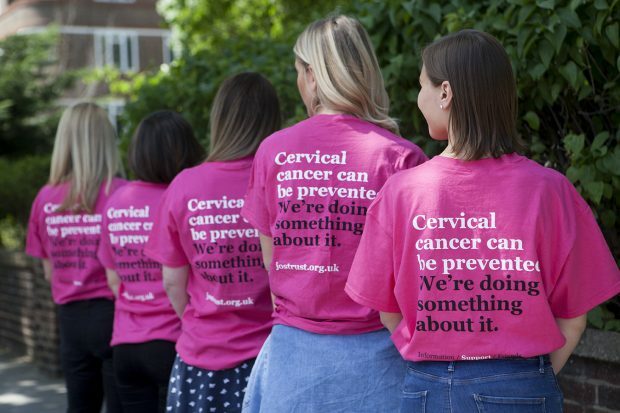 In 2016 it was announced that HPV primary screening will be rolled out in the cervical screening programme across the whole of England by 2020. Find out about latest developments. PHE has published guidance describing the role and responsibilities of cervical screening provider leads. 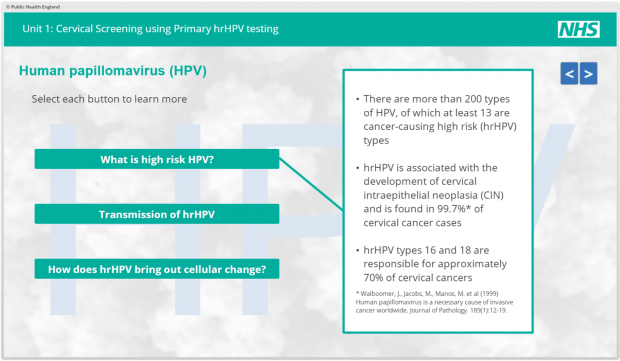 PHE Screening has published guidance for laboratories and local cervical screening providers to support the option of mitigating against the risk of longer cytology backlogs by using primary HPV screening pilot sites. 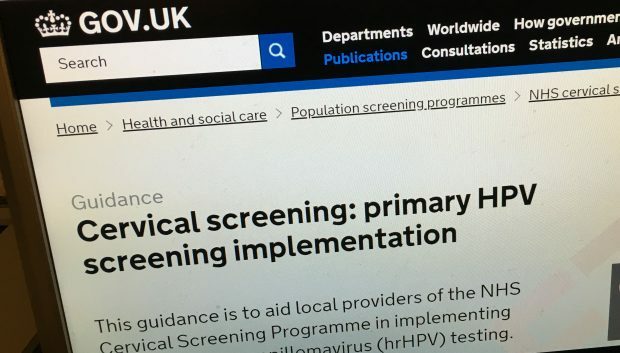 NHS England has published a statement regarding commissioning decisions for HPV primary screening in the cervical screening programme.